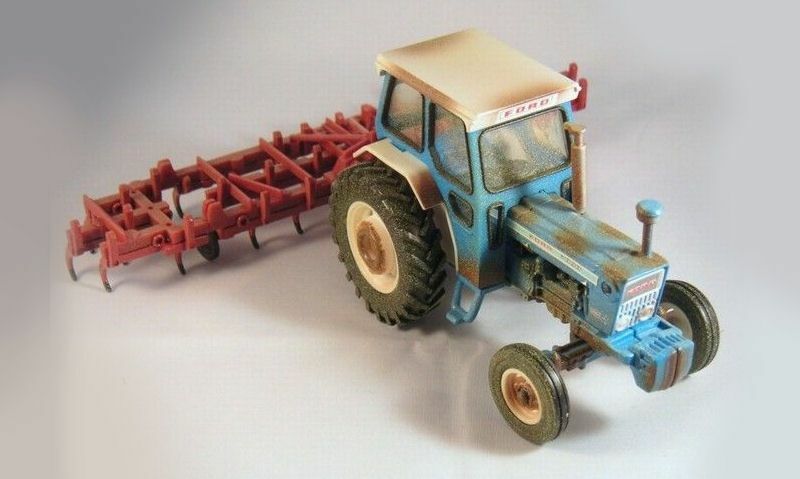 In an effort to bring more value to your Britains tractor, we suggest ways to customise it; whether that's through weathering or adding a trailer. 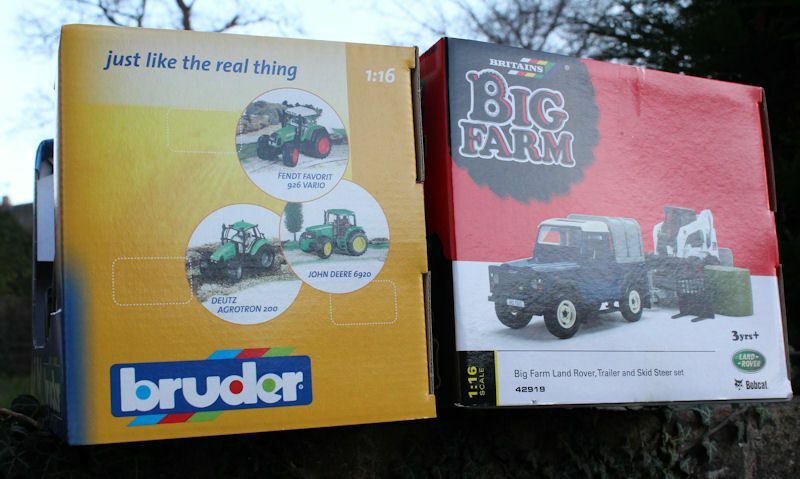 We point out the difference between Bruder vs. Britains Big Farm, with both tractors ranges compared side-by-side, using our chart. 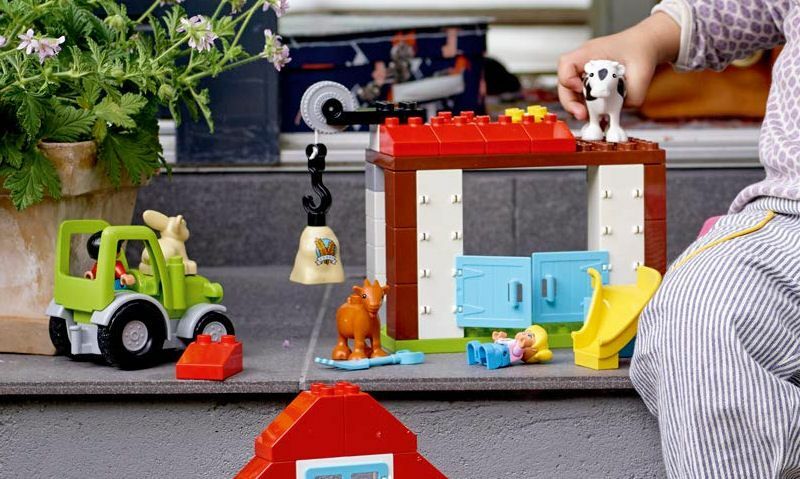 Our best LEGO farm sets are what we consider to be the most valuable in the series, with all the usual farm scene bricks and farm animals. 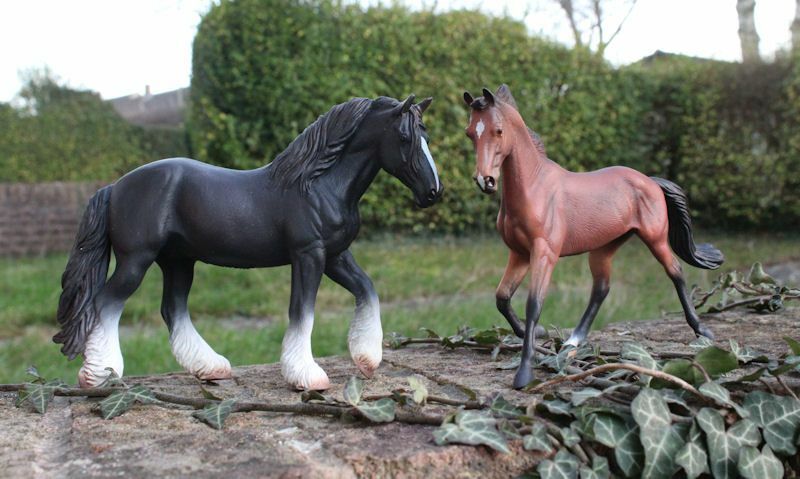 Introducing the Collecta model horse series, a lesser known but over-looked range with a plastic toy horse collection that will make you proud. 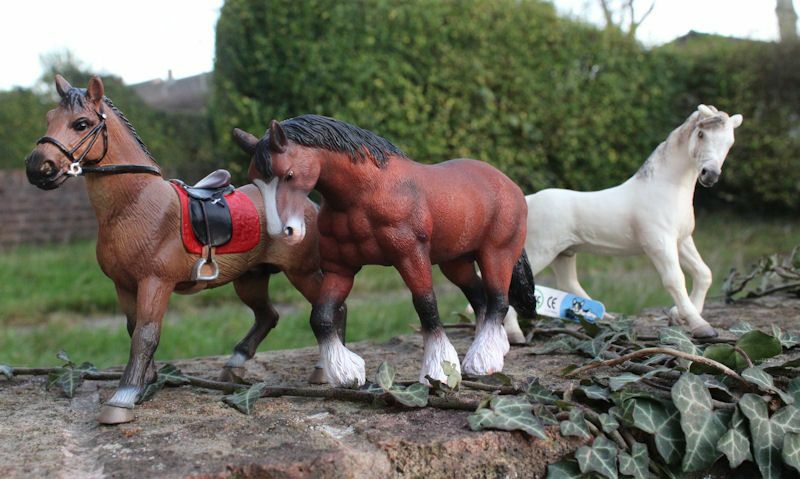 Let's take a look at what Bullyland horses are all about, with dozens of beautifully crafted model horses that are designed to look childish. 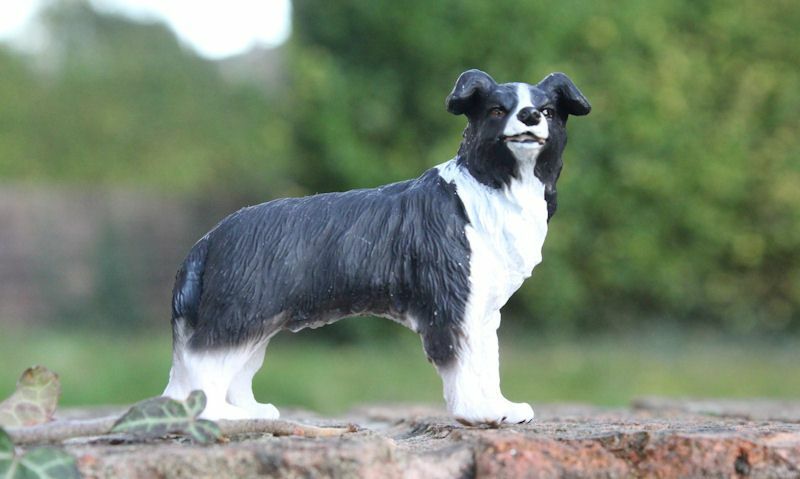 Great for a pet dog, but even better to use on the farm; Border Collie dogs are useful for rounding up the sheep, just as they would in real life. 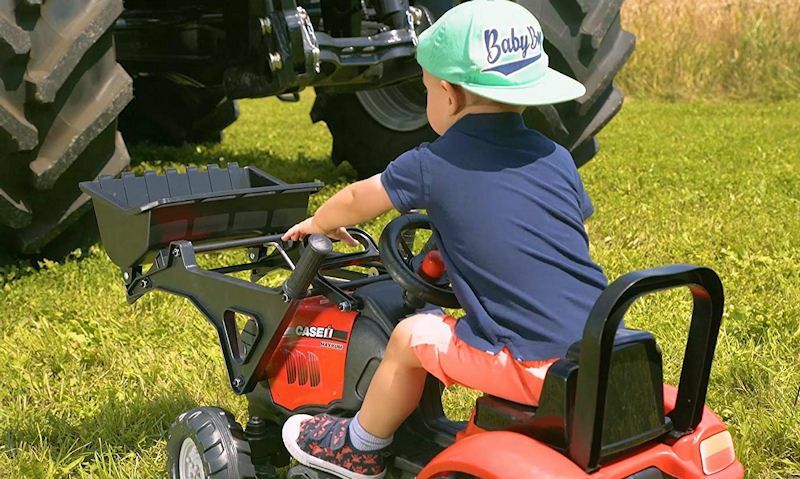 Take a look what options you have when it comes to Case IH farm toys, as well has the usual toy tractors; there implements and keyrings. 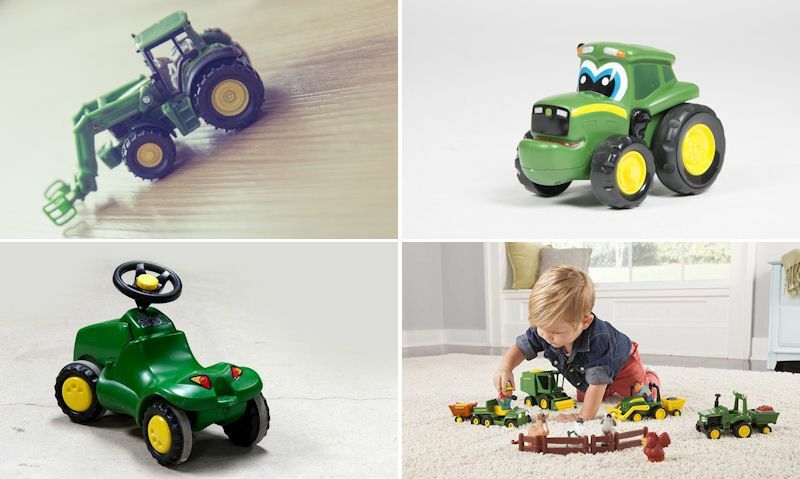 John Deere lead the way in children's toys, that's why we've developed this guide, to showcase just what toys and gifts are available. 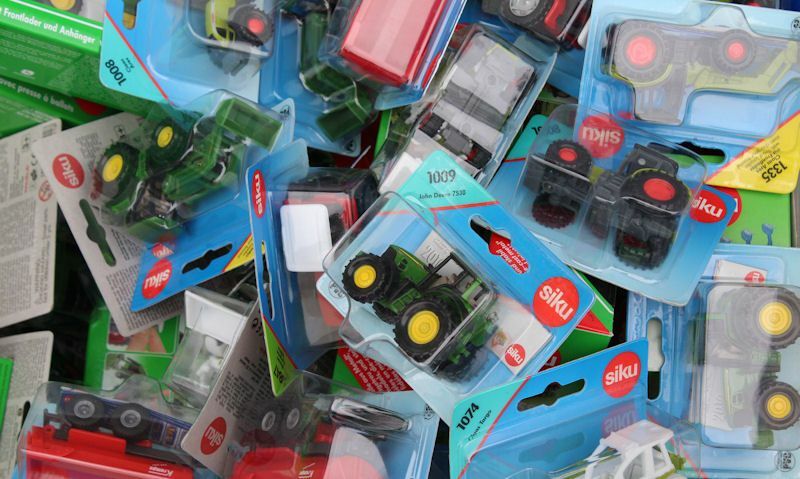 We hope to educate you on the Siku Super series, and the benefits of this range, with all vehicles in 1:72 scale; from tractors to sports cars. 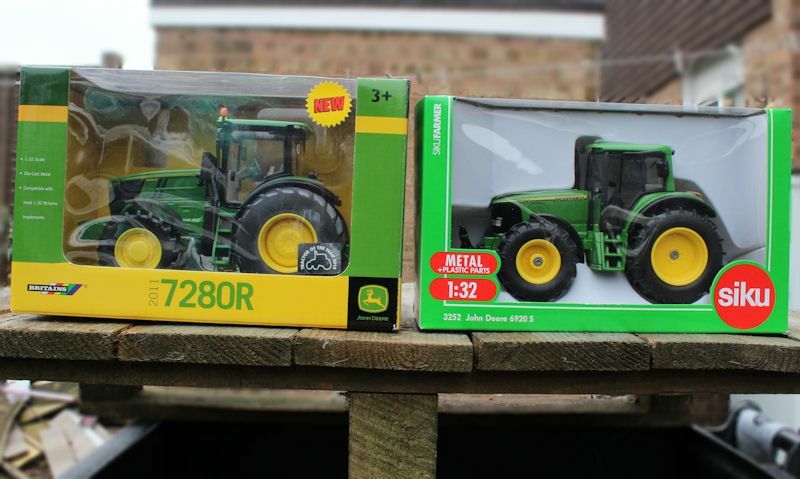 Comparing the difference between Britains and Siku in 1:32 scale only; well both brands are similar in detail, functions, die-cast and packaging.